NEW: aeroflyRC8 for Apple-Mac-Computer is here! 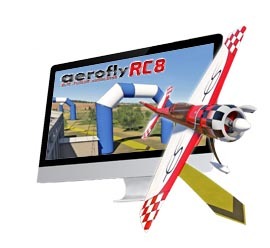 The aeroflyRC8 is now also available as an app for Apple Mac computers. Because Apple Mac computers currently do not support VR headsets, fly the aeroflyRC8 on your Mac in a brilliant resolution and in monitor mode with a super-sharp retina display support! NEW bundles at the IKARUS shop! 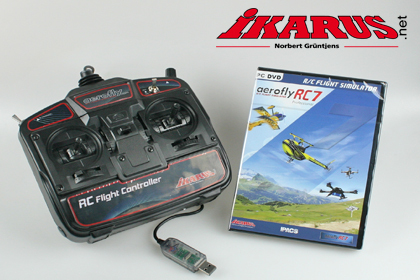 aeroflyRC7 on DVD with commander or interfaces! From now you can buy one of 10 ready to fly bundles at our shop! 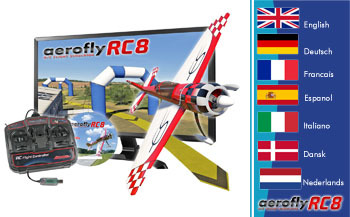 All bundles based on an aeroflyRC7 DVD with customized accessories. You can fly with our USB R/C FlightController (shown at the picture left) or you can use a bundle with one of our interfaces to fly with your own radio. 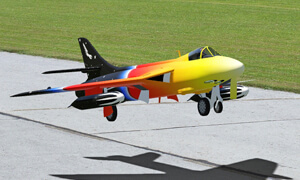 The flight simulators aeroflyRC7 and aeroflyFS runs under Windows 10. But an operation systems upgrade is better to think twice. Please note all actuel infos about Windows 10 here.